Oval shaped wooden tip to give a clear cymbal ring. 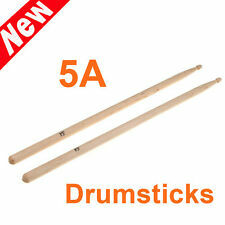 1 X Maple Wood 5A Drum Sticks Drumsticks. Fell less of the hit in your handsPortable and lightweight, easy to hold. Very cool effect. Material: Wood. As photos! Bargain! Will be well packed for Shipping! Specification: 5A. 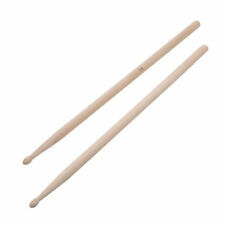 1 pair of drum sticks. Material: aluminum. Color: silver. Product features best give a satisfied solution. checkout, it can't be changed once order completed. Orders placed on weekend will. Premium Sticks for Marching bands although faded from a storage. Light and fast for jazz orchestral and pit work. L = 16" | Dia. Rockem Music accepts no responsibility for claims made after 48 hours. A cymbal will not be replaced if it has been: misplayed,used with improper sticks, dropped, played with excessive force or treated abusively; bought second hand or used in a lease program. 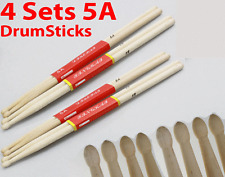 These are a professional grade set of 5A Drumsticks And can be personalised with ANY wording. - Personalised using Our Onsite Laser. (No stickers to fall off or ink that wipes off.). ♥ Ordering Your Drum sticks ♥. 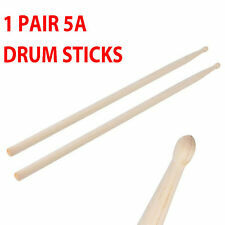 1 pair BLACKWOOD R n B DRUMSTICKS Carbosticks. Modell Massiv Carbosticks. 1 pair BLACKWOOD R'n B Carbon Drumsticks. All Blackwood sticks roll straight and match in pitch and weight. Marke Blackwood. BLACK WOOD DRUMSTICKS - Engineered to Perform. RockStix2 HD NEON - Ultra Bright LED Light Up Drum Sticks inBLUE. NEWROCKSTIX 2 PRO - 13 COLOUR CHANGE. ULTRA BRIGHT - THE BEST JUST GOT BETTER! Batteries are replaceable. Exact drumstick sizing isn't available for this sticks. The drum sticks are picked at random. PICTURE FOR REFERENCE ONLY! Rockem Music accepts no responsibility for claims made after 48 hours. A cymbal will not be replaced if it has been: misplayed,used with improper sticks, dropped, played with excessive force or treated abusively; bought second hand or used in a lease program. Hickory Is The Most Popular Wood Choice For Drumsticks Due To Its Resilience, Responsiveness, Durability & Classic Feel. It features a long, narrow taper which provides a fast and responsive feel. Short, Quick Taper For A More Forward Balance With Less Rebound. Promark B Grade Drum Sticks. Hickory 7A wood tip. Rockem Music accepts no responsibility for claims made after 48 hours. A cymbal will not be replaced if it has been: misplayed,used with improper sticks, dropped, played with excessive force or treated abusively; bought second hand or used in a lease program. NEW IMPROVED! -RockStix2 HD - Heavy Duty LED Light Up Drum Sticks in SCREAMIN' GREEN. NEWROCKSTIX 2 PRO - 13 COLOUR CHANGE. Nova VF-N5A By Vic Firth 5A Drum Sticks Triple Pack Offer! Although they are cheaper than the premium line don't be fooled - they're tough, feel great and are positively affordable! Rockem Music accepts no responsibility for claims made after 48 hours. A cymbal will not be replaced if it has been: misplayed,used with improper sticks, dropped, played with excessive force or treated abusively; bought second hand or used in a lease program. 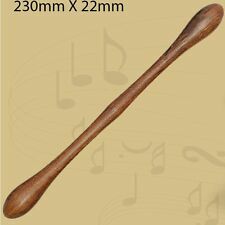 Antique reproduction gong mallet gong stick Dinner gong striker beater "7 sizes"
We want your guitar to be in top form when you get it so you can start enjoying it straight away. All guitars are checked before dispatch. This does not apply to fair wear and tear, neglect or abuse. 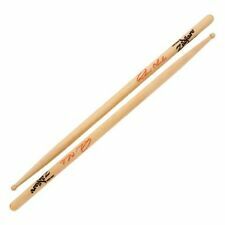 1 x pair of BIRDLAND hickory drum sticks. Rockem Music accepts no responsibility for claims made after 48 hours. A cymbal will not be replaced if it has been: misplayed,used with improper sticks, dropped, played with excessive force or treated abusively; bought second hand or used in a lease program. 4 setsof cheetah drumsticks baragain. Vic Firth TMB1 TIMBALE STICK. World Classic® -- Timbale 17" x. 500". Our biggest and boldest timbale stick. Designed for the player looking for extra reach and power. Argos will then notify you when your order is ready for collection. Product Information. The Rimma by Stageworks Drumstick Holder. Never used - as per photos. Please feel free to check out some of my other listings. Dispatched with Royal Mail 2nd Class. Fun and fresh brightly coloured drum sticks. 3 pairs of Van Howick Oak Drum Sticks. 3 x pairs - choose from - dark orange. Cash on collection also accepted. 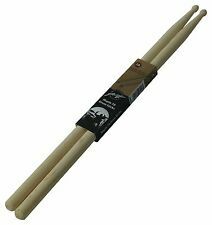 Nova VF-N5ANR By Vic Firth Red 5A Nylon Tip Drum Sticks Twin Pack Offer! BM Stik Rak Drum Stick Holder. Proper old school. SD9 Driver Oval tip. A favorite for jazz. L = 16 1/4" | Dia. Rockem Music accepts no responsibility for claims made after 48 hours. A cymbal will not be replaced if it has been: misplayed,used with improper sticks, dropped, played with excessive force or treated abusively; bought second hand or used in a lease program.